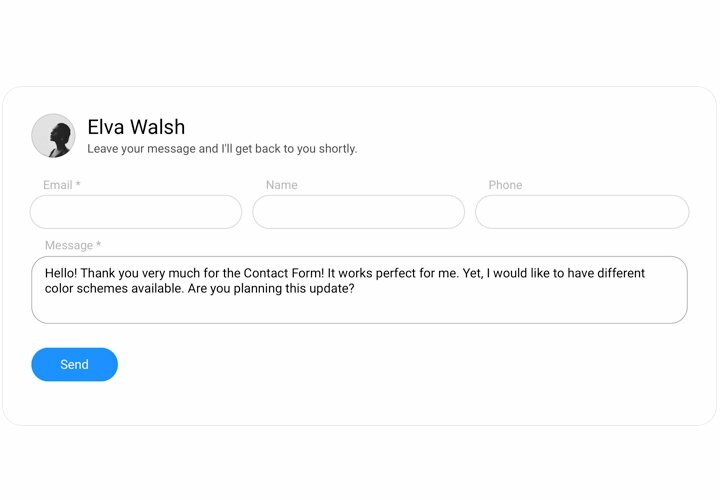 Elfsight Blogger contact us form widget helps with all current needs in collecting impressions and requests from customers of your website. 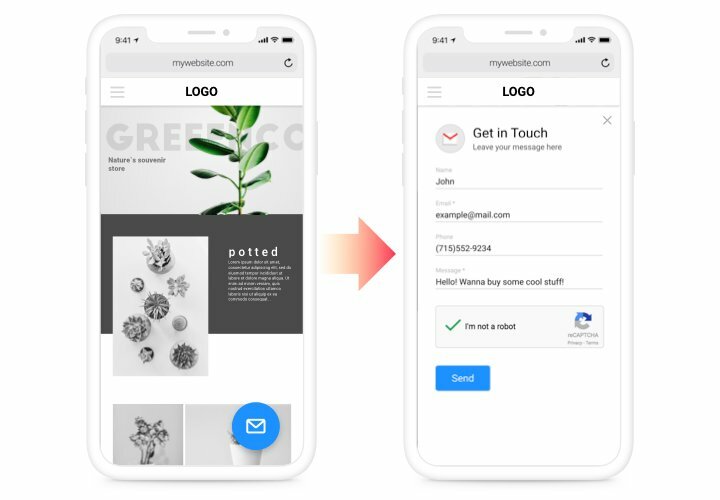 Display the essential elements for filling, find your desired template and customize the interface, to inspire your visitors even more to leave requests for services of your company. 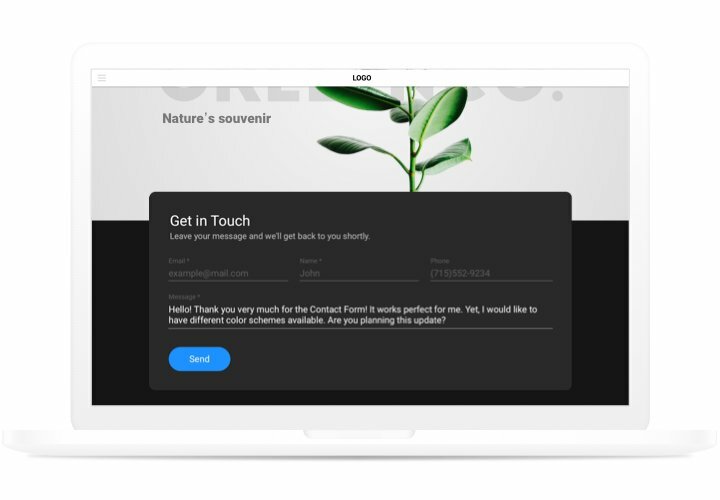 Collect impressions, address requests and write answers to the letters of the visitors of your website! Raise the communication on the website. Address all the current issues and queries of your clients, and don’t let them get away from the site. Use our effective instrument for organizing efficient interaction with customers. Get more reactions about products or service. Answers of your users are critically essential for the advancement of the company. Due to our easy contact-form, you will start to find more comments from your site! Protect electronic mail from bots. Don’t allow bots to spoil your e-mail. 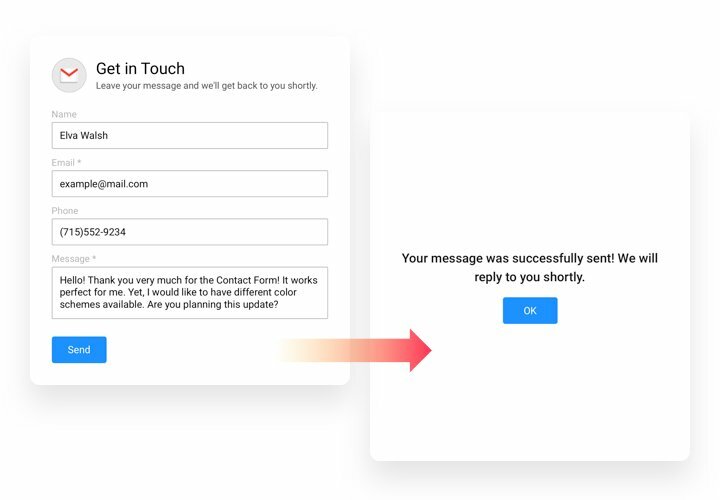 Our form is embedded with Google reCAPTCHA to safeguard your electronic mailbox from automatic spam and bots. Follow a manual created by our team, to display contact widget on your website. It’s unnecessary to have knowledge in web development for it. Average setup time is not more than approximately 2 minutes. 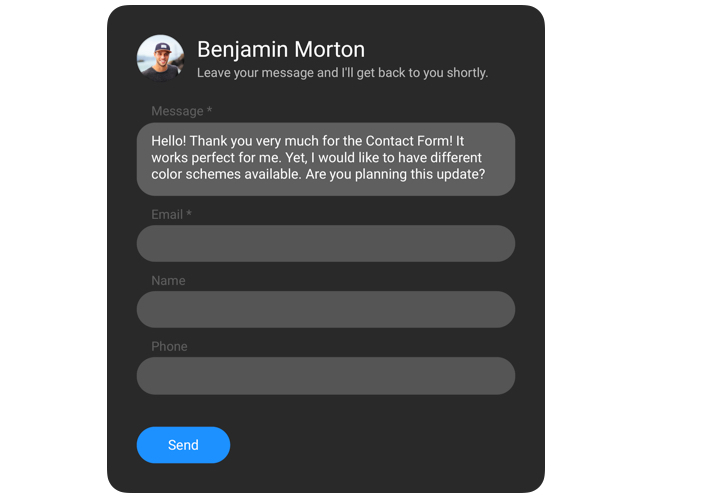 Design your unique Contact widget. By means of our free editor, generate a plugin with desired layout and capacities. Receive the code for integrating the plugin. After widget setting, acquire a code for the form plugin from the appearing window on Elfsight Apps. Display the plugin on Blogger website. Embed the plugin on the needed spot of the page and apply the changes. Enter your site, to check your form. Are there any obstacles you see while following the tutorial or generating your form? 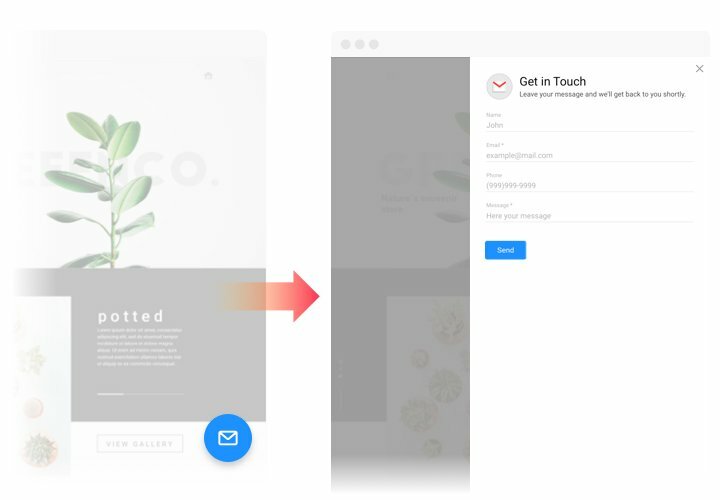 It may be useful to study a full tutorial «How to display Contact form on a Blogger website» then try to add it once again yourself or get in touch with our help center with detailed description of your question, and they do their best to solve the issue. Test Blogger Contact Form easily and quickly!